Obtaining an accurate portrayal of what exactly is going on inside your foot is mission-critical to ensuring the proper diagnosis and treatment. 2) the best, most effective and minimally invasive remedies. This is accomplished through our convenient, state-of-the-art In-Office X-rays. Digital radiography, or digital X-rays, is an innovative way of taking detailed images of the bones in your foot and ankle. This enables expeditious and comprehensive analysis of the troubled areas. 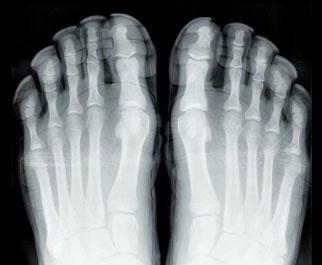 After the X-rays are taken at Cherrywood Foot Care, they’re converted into digital or computerized images that can be enlarged, rotated, flipped over, printed, or even emailed. This cutting-edge technology has greatly enhanced our ability to diagnose small bone spurs and bone fractures that would have otherwise perhaps gone undetected by the older version of X-ray machines. 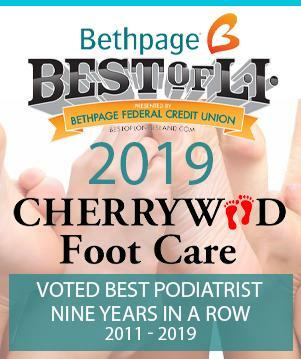 Cherrywood Foot Care‘s expert staff will review the X-rays of your foot and/or ankle with you, step by step, answering any questions you may have regarding any aspect of the image or procedure. At Cherryood, informing and comforting our patients is one of our top priorities. The test is quick and painless. At Cherrywood Foot Care, we strive to use the latest technology to help our patients get the care they expect and deserve.